For the past few days, millions of people have been shedding tears because of loss. No, this has nothing to do with the London bombings. The latest Harry Potter is an amazing journey that delves into the minds and hearts of our favourite characters from Rowling's world of magic. The sixth outing is a deep and profound read that left this reader's head reeling. No, it's not that it's complicated or anything. The pacing is superb and that Potter charm is in full effect: you simply cannot put this book down! However, even in the wake of sinister events and a rather macabre setting, The Half-Blood Prince is a startlingly humanistic adventure of self-discovery, acceptance, bravery, revelations, betrayal, friendship, love and yes, death. If you've read my opening sentence, or just browsed the Internet, you'll know that someone's dead. There, I've said it! People have speculated about it for (literally) years, and many were "unsurprised". However, after reading it, nothing prepares you for that shocker. It's incredibly sad and even sudden. True, quite a few people die in HBP but this one death will stand out in your mind. Regardless of your existing stance towards the characters of Harry Potter, the melancholy associated with this death is something all readers will feel. Despite the events of previous books, they've all managed to end in a rather happy note, if you will. In HBP, the book ends in an extremely sombre tone. But don't let that keep you from reading because this book is simply a masterpiece. The world of Harry Potter is now presented in a manner unlike any in the series. Lord Voldemort is back (if this comes as a surprise, then shame on you) and, unlike Book 5, is stirring up a whole lot of trouble. The whole Wizarding community is in disarray and instead of the colourful world we normally visit, it's become a sinister place that feels very real and closer to home that ever before. In spite of all this, the characters have never been as beautifully portrayed as they are here. While strife continues everywhere, the characters are still living on. They have matured along with JK Rowling's writing skills and act as a brilliant balance to the evil that threatens to consume all. Yep, love is also in the air, moreso than it was in Goblet or Order. Pacts are made and broken and there's plenty of snogging going on. These kids aren't well, kids, anymore. 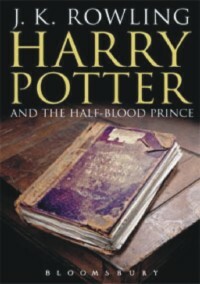 HBP is a great portrayal of everyone's slow and unsteady steps into the world of adults. Love becomes a strong theme as do the virtues of bravery, innocence, loyalty, friendship and self-sacrifice. Even in the midst of raging hormones, normal life at Hogwarts continues with the same charm as always. There's a new Defence Against Dark Arts teacher, Quidditch still has everyone hooked, and the place is rife with jokes and puns. If you've been following the rest of series, you will be very much at home when reading HBP. However, you will notice that things are indeed much more personal this time. We slowly find out more about each character, their resolves, their strengths, their weaknesses and what makes them tick. From Ron to Volde...You-Know-Who, each character seems much more real and human than they've ever been before…though considering Voldemort's state, it's debatable. Jokes aside, JK Rowling shows deep insight into the minds of her characters and their actions leave you pondering more than before. There are lessons worth learning here, some obvious, some more subtle. Also, while HBP answers many questions it raises more interesting and profound ones and given the whole mood and theme of this book, things are not always what they seem. While this book may alienate smaller children, those that have grown up with Harry Potter will find that HBP resonates in ways you thought were not possible. Harry Potter has grown up indeed. Taken as a precursor to the grand finale or as part of the Harry Potter mythos or even on its own merits, HBP is a brilliantly engrossing tale that you'll never forget! It manages to be deep, macabre and sad yet enlightening and funny all at once. While it's hard to tell whether this is 'better' or 'worse' than the other Harry Potter books, The Half-Blood Prince is still a journey that will not fail to entertain you. Third time lucky or unlucky? Music fans all over Bangladesh heaved a very audible sigh of relief when the long awaited AGUNTOK 3 was finally released on the 30th of May this year, the ceremony taking place at the Multi-plan Centre on Elephant road. Not having been there, this correspondent is not qualified to review the release ceremony, but must mention that certain people who were present there claimed the performances to have been amazing. Carrying on with the review, this album was well presented, but even considering all the hard work put in by the bands and the producers, this album was not "the best" one among the AGUNTOK trio, unfortunately. Most of the bands were simply not upto the expectations of their fans, much to our utter disappointment. Even then, it is still noted that they have put in effort for our enjoyment, and so they should be given credit for that! Starting with Aurthohin's "Itihash", this was a good old-skool metal song. No need to inform readers of the amazing Bassbaba's talents, since he is already a widely known and appreciated musician. The second vocalist definitely deserves a thumbs up for his amazing vocals and on this note the guitarist must also be mentioned for the amazing guitar lead! Overall music and vocals wise this track was by far one of the finer songs in this whole album, and as always Aurthohin has left us entertained! However, the very next track gives rise to criticism. Taking leave to mention some rumours, many people have a feeling that their favourites, Artcell, has not performed as well as can be expected from them, simply because they are so busy with their own album. The drums are great as usual, as are the guitars, leaving the vocals as the main drawback of this track. In conclusion, "Bangladesh…Smrity O Amra" was somewhat of a let down. Moving on, we come to Black, who tried something different. For the first time, we are presented with an English song in a Bangla mixed album. Though that fact itself sound somewhat strange, Black have done a wonderful job with "The Evening" both instrumentally and vocally. The vocalist, with his clear rock soprano has done his level best, as have the rest of the band, however, the song still has not come up to the mark, and was nowhere near Black's capability, which leaves their numerous fans disheartened. The fourth track, by Cryptic Fate, titled "Onadorer Shontan" is decent and different. The music is creative, and there is little wonder that their hordes of die hard fans are simply impatient to see these music titans work wonders on stage as well as in albums. The vocalist however seemed to have some trouble maintaining harmony in some parts, but otherwise the band's efforts must be applauded. Zefyr goes techno with "Desh" and unfortunately the effort was not a very good one. Though the starting is somewhat enjoyable, as the song progresses, it loses much of its charm and this caused the song's standards to fall somewhat, but hopefully their next composition will completely blow us away. "Obinoye" by Icons was one of the poorer tracks of the album. A very bright and talented young band, Icons started off their career with a bang, promising their current fans of much more than what they have delivered recently. The vocals and music have been fair, however the rhythm of the song somehow does not suit the genre of music that Icons tries to play, and this acts as a major roadblock for them. Then come Dripping Gore with "Bimurh Monushotter Udbhashon" and 666 with "Mrittu (Jonmer Purbe)." Two songs of this genre, meaning Death Metal, have been presented to the public of Bangladesh through a mixed album, and though the songs sound fantastic and rock harder than most songs in the album, this correspondent is not really qualified to review a song of this genre, and therefore leaves the readers to form their own opinions. "Dhowar Majhe" by Shade is a nice mellow rock song. Another good track in the entire album, Shade even outdid some of the top bands on this album, with their creative drumming, which was the best feature in the song. The vocalist is also noteworthy. Fulbanu's Revenge was another let down. The guitar work and bass work in the song were really fantastic, but somehow it did not go with the song, making the overall effect really poor. Sad to say, this correspondent being a huge FBR fan, "Mukhosh Khule" was totally below expectations. Aashor's song, "Mohasrishtyr Gaan," was one of the better songs although they were EXTREMELY influenced by the band Soundgarden. The drummer has done a good job, as has the vocals. The song should be appreciated even more because it was rocking harder compared to their last song in LOKAYOT..
"Moho" by Echoes was another pleasant song. The best part of the song was the vocalist, whose singular vocals made the song admirable. Very few bands in this album have been able to impress the public, and this band can include themselves in those special few. Bivishika, has been delightful in "Oparey." The band has always provided all music fans with unique songs and so kudos to the guitarists and vocalist, whose hard work have made each and every song distinctly enjoyable. The next track "Tobuo" was another disappointment. Nagorik have done a good job instrumentally, but yet again their main drawback lies in their vocals, because the song was not as well sung as it could have been, given that their vocalist is a veteran in his chosen field. 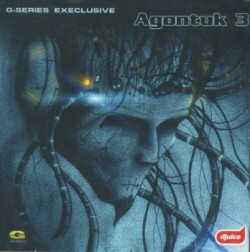 "Bishonno Adhar" by Stentorian is probably the most popular track in the entire album. Featuring Bassbaba(guest vocals and bass) from Aurthohin and Anjan(guest vocals) from Dripping Gore, this was one of Stentorian's great compositions, and the vocalist has done a fascinating job, though for most Stentorian fans, the only drawback is that none of their vocals can match Torsha, who is voted to be the best vocals of this band. Much planning, co-ordination and hard work is required in producing a music album, especially one which comprises of so many talented musicians working together. Emotions running high, the producers must have been under a lot of pressure and strain, and for this reason, on behalf of all the music lovers in Bangladesh, this correspondent would like to thank Sumon of Aurthohin, all the mixers who worked with the bands, All the crews of the various studios used and specially G-Series, for taking entertainment to a whole new level and a great cover design. Even though this album remains below expectations, their past work must be kept in mind, and their efforts must be applauded! With the international acceptance of English as one of the official languages, it has become almost essential for people all over the world in different countries to learn this language besides their own. Usually the difficulties of learning to speak proficiently in a foreign language have been eased out by the speaker by adding a touch of his own language to it, probably to make it more "enunciable". Thus various accents originate. Of these, the most famous ones are the British accent and the American accent. While the British believe that since they have introduced the English language their accent is the correct one, while the Americans take the freedom to stylize the language according to their own way thus giving rise to another type of accent. However, since these two accents are the generally accepted ones, other accents are considered to be foreign and are often made fun of. Nevertheless, people of non-English speaking countries develop their own version of accent and gradually it becomes accepted by all. The prominent accent of the Indians or the Singaporean's "Singlish" are just two examples. However, here in our country we are bound to come across numerous unusual accents, which have nothing to do with the ability or inability to speak in a foreign language. These accents are mostly practiced in the younger age groups, who have almost set a new trend of speaking in certain accents. These are the artificially modified versions of the actual ones, and strangely each version varies immensely from the others. In fact accent marafying has become so common that out of every three people, you are bound to find one who speaks with a fake accent. It almost seems that it is a common belief among them that if you do not abide by the law of marafying an accent, then you are to be condemned by the others and labeled as "uncool". Actually to these people, the correct accents are just so passé! While they claim that they follow one of the standard accents, it is usually seen that they end up with a cross between a few accents or sometimes even a very confused amalgamation of these and some of their own inventions. When these youngsters are charged with the fact that they only speak their mother-tongue with a strange accent only because they find it cool, they usually tend to deny it strongly. Most of them shamelessly admit their inability to speak properly in their mother-tongue. Some of them even strongly claim that theirs' is the correct accent (mainly since they hear most people around them speak in the similar manner!). Why I even know this person who is taunted by peers for her accurately "shuddho" and correct Bengali accent! It was wonderful seeing Generation Y bringing up new bands and composing and singing Bengali songs. How truly patriotic! However it was equally disappointing hearing these very people singing some extremely fatafatty Bengali songs in a very distorted version of their mother-tongue. All those music fans out there don't start aiming daggers at me right now, because it is truly cacophonous and unmusical. Although marafying accents has become a very common trait and is now considered acceptable by all, the best way to speak a language is to speak it properly without marafying an accent.